Suriyanar Temple: In Thanjavur , there is a special temple for Sun God. Travel Information : Travel Information : It is Situated 2km North of Aduthurai. It is in between Kumbakonam Kadhiramangalam on the Bus Route. In this Route 15.K.M. east of Kumbakonam. Thinagaloor : It is one of the Saivite holy places in Tamil Nadu. This is located in between Thanjavur and Thiruvaiyaru. Travel Information : From the Bus Stop one has to walk 1 k.m. in another road, to reach the temple. Vaitheeswaran Temple : It is north of Kavery River. Travel Information : It is 15 k.m. north of Mayiladuthurai. 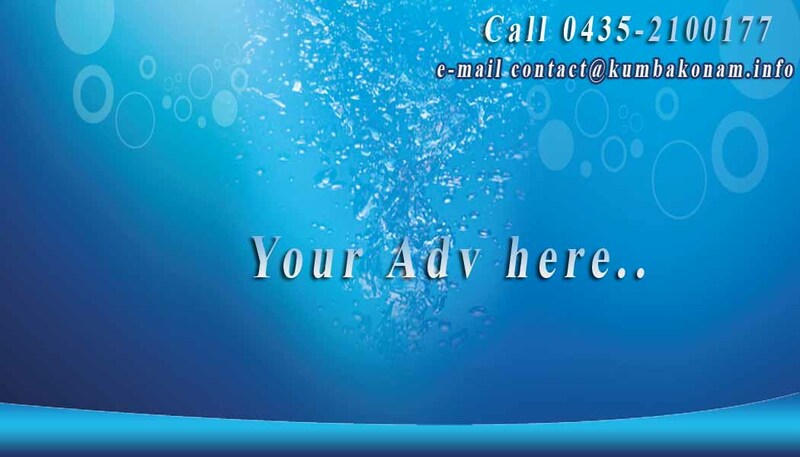 It is situated in between Mayiladuthurai (15 km) and Chidambaram (25 km). Thiruvenkadu : Among the nine palnets Budha Baghawan worshiped in Thiruvengadu temple and obtained bliss. Travel Information : It can be reached by Bus from Mayiladuthurai (25 km) and from Sirkazhi (15 km). (Prahaspathi) Alangudi : It is a place where Guru Baghawan presents himself as Dakshinamoorthy. Travel Information : It can be reached by Bus from Thanjavur(15 km) via Needamangalam and also from Kumbakonam(5 km). Kanjanoor : It is a holy abode for Sukra Baghawan. It is in Thanjavur District. Travel Information : It is just 2 km away from Suriyanar Kovil near Aduthurai. It can be reached from Mayiladuthurai (20 km) via Kadhiramangalam and also from Kumbakonam (18 km) via Vepathur. Thirunallaru : It is famous for Sri Saneeswara Baghawan for whom a separate sanctum is provided. The temple is Sri Dharparanyeshwarar's Temple. Travel Information : It is 5 km from Karaikkal. It is situated in the Bus Route, from Kumbaokonam (45 km) to Karaikkal or one can go from Mayiladuthurai (30 km) or form Nagapattinam (20 km). 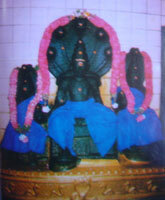 Thirunageswaram : The God of the temple is Naganatheswarar. Travel Information : It is just 5 km east of Kumbakonam. Quite a number of buses ply via Thirunageswaram. Keelaperumpallam is the place meant for Kedhu Baghawan. Travel Information : This place is 2 km south of Dharmankulam, which is on Mayiladuthurai (20 km) to Poompukar(5 km) Bus Route.it can be reached from Sirkazhi (20 km) also.